Poker professional Paul Wasicka’s biggest cash came in a second place finish, in the worlds most prestigious poker tournament. He became one of the wealthier poker players in the business when he lost that heads-up against Jamie Gold at the final table of the the 2006 World Series of Poker Main Event in front of millions of fans watching on TV. Yet, as far as his career and the game of poker goes, he has achieved much more and had bigger triumphs, just not in monetary terms. Paul Wasicka was born in Dallas Texas in 1981. When he was a young child, he played soccer, backgammon and chess. Then, he turned seven, and his family moved to Boulder, Colorado where he got involved in even more activities. He started skiing and joined the chess club when he got to middle school. In high school, Paul was an avid sports player. He was involved in five sports during that time. He was running track, cross country running, volleyball, skiing, and wrestling. He excelled at maths and went on to the University of Wisconsin-Madison. At college, Wasicka couldn’t seem to make up his mind. He started out in engineering then changed his major three times before dropping out altogether. He went to work in his brother-in-law’s restaurant as a waiter. His first experience with gambling was an exciting one. He had gone to Vancouver to do some skiing. He put ten dollars down on a game of Blackjack and over the next five days he kept increasing his bankroll until, he was $17,000 to the good. He asked to go with friends to an underground tournament in Denver in 2004. His friends had to explain some of the basics of the game to him. Yet, he came ninth in a field of 100. He went home and started playing poker online right away. After some initial ups and downs, he decided to settle into the life of a professional poker player. This was when he discovered that his emotional side would have to be tamed if he was to make it as a pro. He committed to working as a restaurant manager for a year. Only then would he return to poker. When he did, he quickly got some great results. 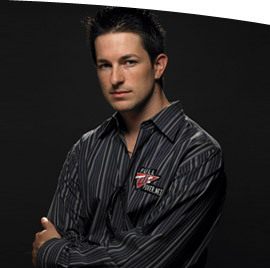 His first big win was in 2006 at the Five Star World Poker Tour Classic Championship. He finished fifth and took home over $146,000. This was just a prelude to the big win that was coming. Later in 2006, Paul Wasicka famously made a second place finish in front of millions of TV viewers in the years biggest poker tournament, the World Series of Poker Main Event. He earned over $6,102,499 million for his trouble. He was unsatisfied with the way the play had gone, though, having narrowly missed out on a 1st prize of $12 million but perhaps more importantly the most prestigious tournament victory in poker. After this disappointment he had to take a step back and make a new start. 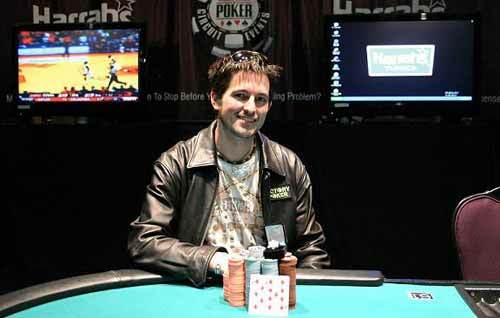 In 2007, Wasicka was back in the money with a win at the NBC National Heads Up Poker Championship. His winnings were $500,000 but the win was what really mattered to Paul. 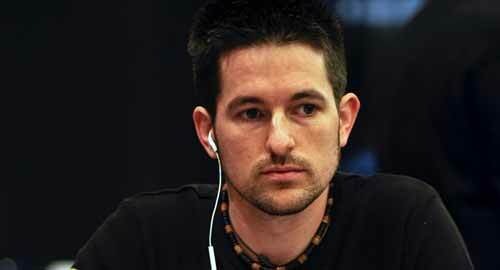 He also made the final table at the L.A, Poker Classic and finished in fourth for a win of over $455,000. Also in 2007, he came 12th place in the Aussie Millions tournament. In 2009 Wasicka won a WSOP circuit event in Tunica for $139,422 and a WSOP circuit ring, small consolation for the WSOP championship bracelet he missed out on in 2006, but nevertheless some comfort. Paul Wasicka is a fairly young man who is single and has no children. He goes by the nickname of “Kwickfish.” He has cashed 11 times in major tournaments and has total winnings of $7.9 million. As an avid online player, and former sponsored Full Tilt Pro, he enjoys the time he spends playing and chatting at Full Tilt Poker. Want to Chat and Play Poker with Paul Wasicka?